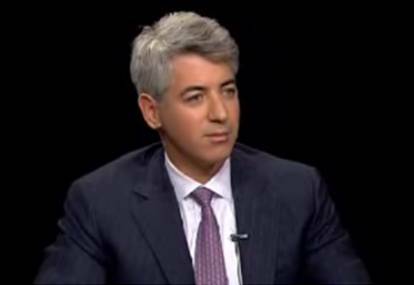 Bill Ackman's hedge fund Pershing Square Capital Management just filed a Form 4 with the SEC regarding shares of J.C. Penney (JCP). The filing indicates that Pershing Square bought total return swaps on September 22nd with a conversion price of $26.14 and an expiration date of 9/22/2016, representing 15,969,239 shares of J.C. Penney. "Under the terms of the cash settled total return swaps (i) certain of the Pershing Square Funds will be obligated to pay to the bank counterparty any negative price performance of the 15,969,239 notional number of shares of Common Stock subject to the swap, plus interest at the rates set forth in the applicable contracts, and (ii) the bank counterparty will be obligated to pay certain of the Pershing Square Funds any positive price performance of the 15,969,239 notional number of shares of Common Stock subject to the swap. Any dividends received by the bank counterparty on such notional shares of Common Stock during the term of the swap will be paid to the Pershing Square Fund. All balances will be settled in cash." Additionally, the hedge fund recently amended their activist 13D filed with the SEC. This now shows Pershing's ownership stake in JCP as 18.3% of the company with 39,075,771 shares. They've only added to their common stock position by 360,200 shares since the end of the second quarter. We've of course detailed how Ackman bought $600 million worth of various investments during the August volatility. Late last month, Pershing disclosed their intention to own exposure equal to 26% of JCP's outstanding stock via a "synthetic long position." In the agreement with the company, Ackman reduced his voting rights to 15% of shares outstanding and made it so that any additional shares purchased require written consent from JCP. For recent activity from this hedge fund manager, check out Bill Ackman's presentation on the Hong Kong dollar.